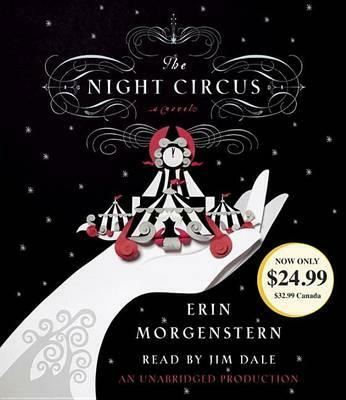 "Playful and intensely imaginative, Erin Morgenstern has created the circus I have always longed for . . . This is a marvelous book." --Audrey Niffenegger, author of The Time Traveler's Wife "A world of almost unbearable beauty. This is one of the best books I have ever read." --Brunonia Barry, author of The Lace Reader Welcome to Le Cirque des Rêves Within these nocturnal black-and-white-striped tents lies an utterly unique experience, a feast for the senses. Beyond the smoke and mirrors, however, a fierce competition is under way--a duel between two young magicians, Celia and Marco, who have been trained since childhood expressly for this purpose by their mercurial instructors. Unbeknownst to the players, this is a game in which only one can be left standing, and the circus is but the stage for a remarkable battle of imagination. But when Celia and Marco innocently tumble head first into love--a deep, magical love that makes the lights flicker and the room grow warm whenever they so much as brush hands--their masters intervene with dangerous consequences. Erin Morgenstern's singular and spell-casting debut is a mesmerizing love story for the ages. "A riveting debut . . . pulls you into a world as dark as it is dazzling, fully realized but still something out of a dream. You will not want to leave it." "A gorgeously imagined fable . . . An enchanting read."